It is not a wrx even if it looks and sounds like one. I am sure at one time this was a great car, but to be fair it's trying to be something it's not: a wrx. If you want to build this into one, I am sure it could be a fun project. But as is it is a faker, that can trick nonsubi lovers into thinking you're driving a sports car when you are not. Handles great in the snow, ice, and rain. Good starter car for someone that wants to look cool but not have to learn how to drive a fast car. Good gas mileage, but that might have something to do with the manual transmission. Do not ignore your misfires, or any little bit of maintenance because it will snowball out of control quickly. This car is reliable. It always starts, and it has never broken down - and it's 15 years old! The Subaru Impreza sedan offers great gas mileage in cities. 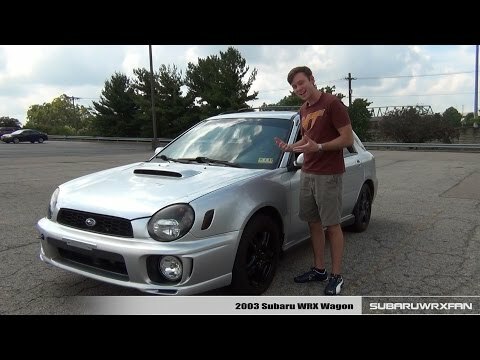 I purchased my used Impreza RS 7 years ago and have had zero mechanical issues with it. My only complaint is that the trunk leaks because the gasket is loose, and the rubber gaskets around windows/doors are loose & cracked from sun exposure. It has been the most reliable vehicle I have ever owned. Safety features are adequate (I'm a parent and feel my child is safe in this car). It handles well and with a 2.5 it offers a pretty quick 0 to 60 time. I hope to keep this car for many more years. Winning Subaru. Look no further for a compact car!! This is the car for you! Very reliable, dependable, no major problems, automatic shifting plus, I keep the oil changed. Has 81, 000 miles still running strong. Everyday running around car. Would buy another Subaru Impreza. Have not a single thing bad to say. Looking for a compact car? This is the one. Subaru repair parts department very helpful and make time for you.